For the event, the DCPSC asked Forklift if we could provide some materials for their presenters to use as a display. In response, we invited them to apply to our Community Building Blocks (CBB) Program, which awards materials grants to nonprofits, schools, community gardens, and other community-based projects and events. They applied immediately, and were granted a free standing window and door to use for their demonstration of winterization tips. 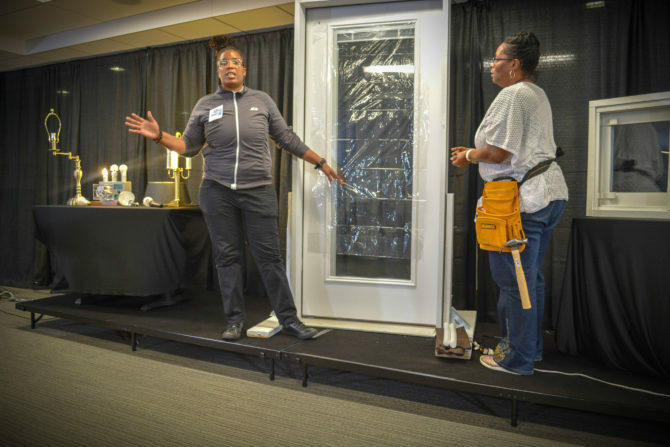 The window and door are Forklift materials that were used as display items to demonstrate weatherization tips for event attendees. “Thank you again for all of your help with this event. The props that you provided really transformed the look and feel of the event. I have attached a few pictures that highlight how the door and window was used for Winter Ready DC. Once again, thank you for all of your efforts.” –Wendy N.
The event brought together utility representatives, home professionals, contractors, and community leaders in an effort to better prepare families and businesses in the District with upcoming winter energy bills. 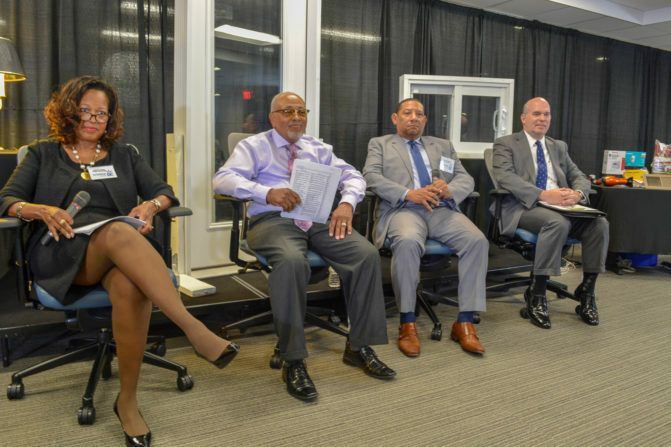 The DCPSC invited utility representatives to discuss their energy efficiency and customer assistance programs available to D.C. residents who may need assistance with high utility bills during the winter months. And, they invited home professionals to provide practical tips on how to winterize your home on a budget. Community leaders also attended so that they could relay the information to their constituents. We’d like give the DCPSC a shout out for continuing their efforts to assist DC residents with energy preparedness!